ABIMAPI is a non-profit organization, founded in January 2015, as a result of the merger of ABIMA (Brazilian Association of Industrialized Pasta and Bread & Cake Manufacturers) and ANIB (Brazilian Biscuit Manufacturers Association). The merger gave rise to one of the largest associations of the country, increasingly strengthening the position of each sector and the importance of the segment. We serve as contact with entities, government, press, researchers and opinion-makers, disclosing exclusive and quality information. We are consolidating the industries to be even stronger in the national and international scenes. We promote among manufacturers of industrialized biscuits, pasta and breads & cakes throughout the country, the associative spirit and the effective cooperation. The sector consists of traditional and secular industries that have been contributing to the growth of the Brazilian economy and stand out as important creators of job opportunities. The manufacturing complex of industries has state-of-the-art equipment and is one of the most modern complex in the world. Currently, we are proud to know that Brazilian goods are recognized worldwide for their quality and innovation. 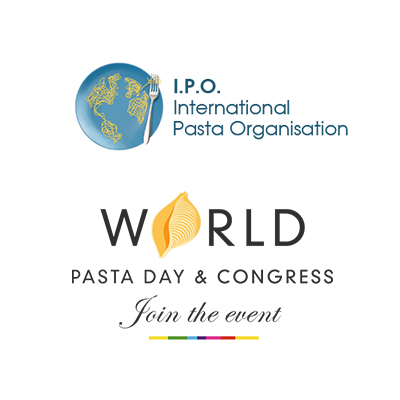 Founded in 2005, in Rome, IPO (International Pasta Organization) is the entity representing pasta manufacturers around the world in order to boost consumption and encourage healthy diet. In recent years, IPO has been working to draw the media’s attention and show the importance of carbohydrate based food to consumers around the world. The organization also operates in the image protection of the industry and the worldwide promotion of the Pasta Day, October 25. In 2012, Claudio Zanão, ABIMAPI’s president also took over as president of IPO. Go to: www.internationalpasta.org.